This post has 1181 words. Reading it will take approximately 6 minutes. While colored Petri nets are graphical, they are also quite complex to explain to non-experts. This has previously been addressed by domain-specific visualizations (see also Mimic/CPN and the BRITNeY Suite). One particularly useful visualization is message sequence charts. 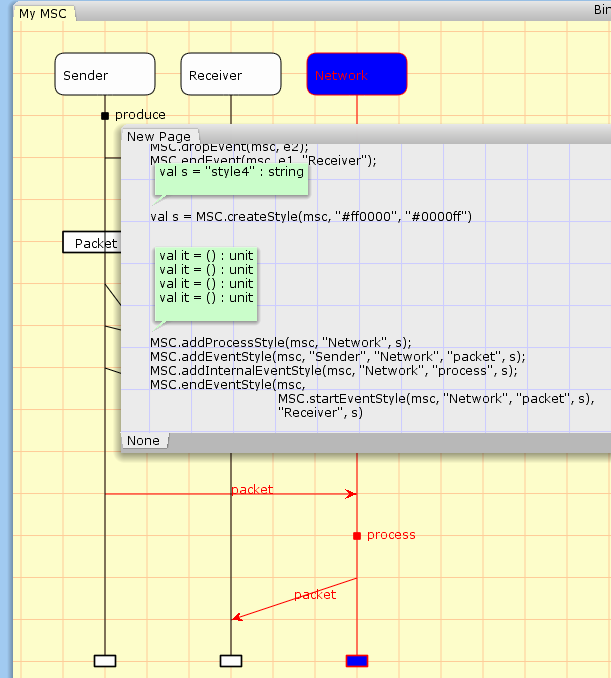 This visualization is so useful, it has previously been implemented for Design/CPN, the predecessor of CPN Tools, and externally for CPN Tools using the BRITNeY Suite. CPN Tools 4 brings this feature natively into CPN Tools (really it does so using simulator extensions, but that is completely transparent to users). Users of the BRITNeY libraries will feel immediately at home. In fact, most of the implementation comes directly from the BRITNeY Suite, but has been simplified slightly, and no longer requires any external programs. We can of course freely interleave all of these calls as desired. We can also style all elements as we see fit. 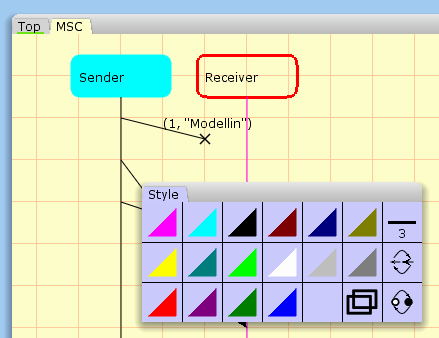 We can create style handles with a background and foreground color (l. 15) and have styled versions of all calls (ll. 16-20) to create styled elements. Colors are decoded with Java’s Color.decode method and accepts anything it accepts. 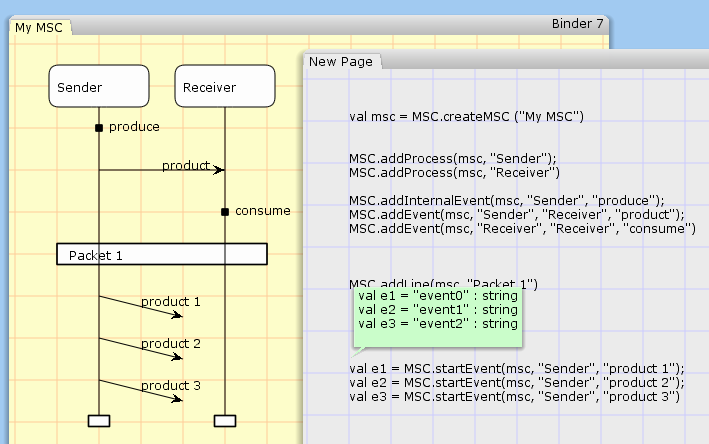 val msc = MSC.createMSC "MSC"
Lines 2-6 sets up the MSC and two processes, much like in our API overview above. mk_pk and mk_ack (ll. 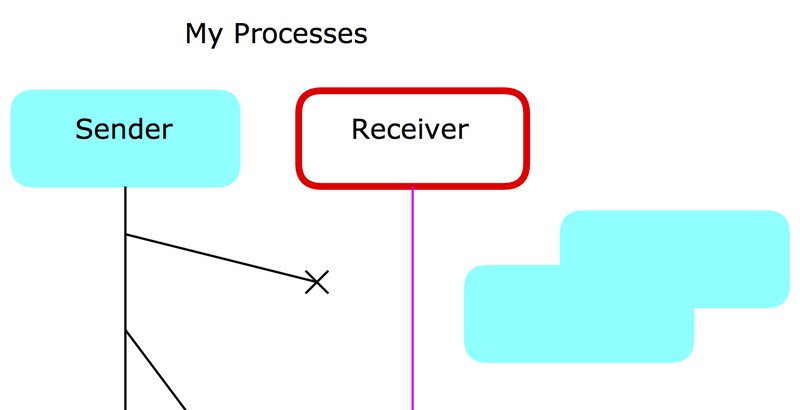 7-9) are convenience methods for converting packages and acknowledgements to strings. We have added a code segment to the Send Packet Transition using the startEvent method. 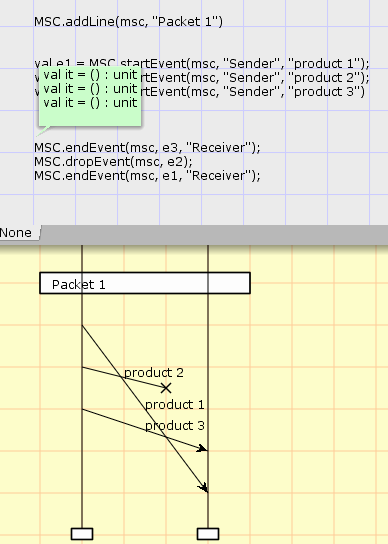 This means we need to subsequently end or drop events, so we need to also transmit the package identifier. This is done by defining a STRING type (l. 10) and making sure to transmit the identifier along with packages and acknowledgements (ll. 11-13). Transmit Packet and Transmit Ack have a code segment that drop the package/acknowledgement if the packet transmission is not successful. 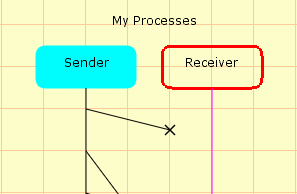 If transmission is successful, the packet is either received by the Receive Packet or Receive Acknowledgement transition, which ends the event correctly. 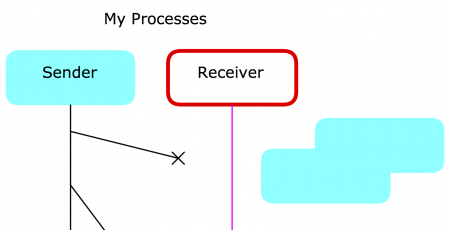 The Receive Packet transition is also responsible for sending the acknowledgement, so it makes sure to also start the acknowledgement event. Despite the simplicity of the visualization, we can see many interesting concepts. We see packages overtaking one another (box 1), we see packages crossing one another (box 2), and we can see outstanding packages (box 3). We can of course also see dropped packages and how many retransmissions we have. For this example, we could also add milestones whenever we increment the sender counter (but remember that the counter may be decremented). Here, we have used code segments to add visualizations. It is also possible to use monitors to achieve that. For an example of how to do that, see this example for the BRITNeY Suite. 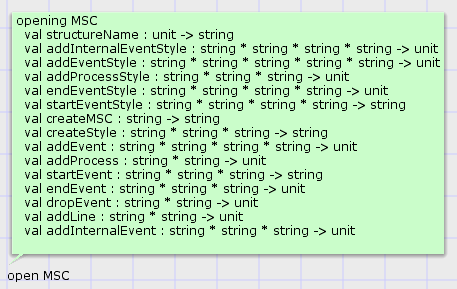 The idea is exactly the same here, except we need to provide the MSC identifier as the first parameter. The astute reader may have noticed that the MSCs in this introduction all have a yellow tint whereas the evaluated code has a gray tint. This is not accidental. 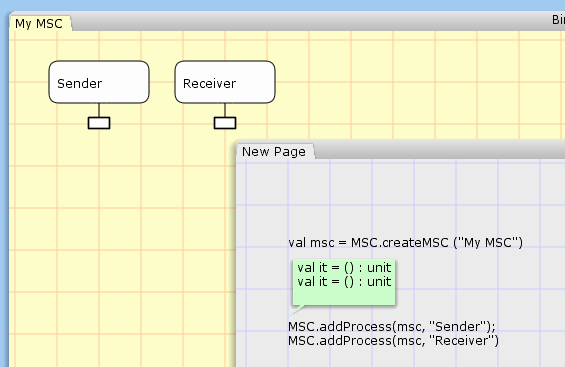 This means that the yellow-tinted pages are “canvas” pages and not saved with the model. Visualizations are expected to not be sufficiently important to save – they can easily be regenerated by simulating the model after all. Saving each visualization is therefore wasteful. This does not mean that is may not be interesting to perform actions that would normally be useful for pages, so instead of inventing an entirely new concept, we use canvas pages. You can think of them as a draft page you trash as soon as your main product is finished. Finally, if we clone a canvas page, the clone becomes a regular page that is saved with the net, reinforcing our metaphor that the canvas page is a draft page to be discarded for the final version. 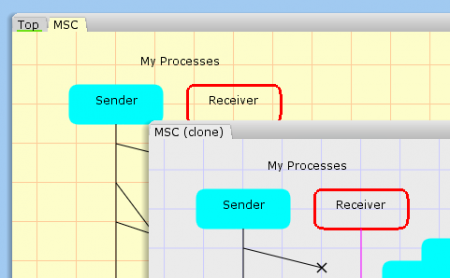 In this introduction, we have see how to create message sequence charts in CPN Tools. We have been thru the API primitives and seen a practical example. We have also seen that visualizations in CPN Tools 4 are made on special canvas or draft pages, which are not saved with the model, but which can otherwise be manipulated as regular pages, including producing high-quality vector graphics for inclusion in papers and being turned into regular pages. 1- Adding to the current simulator extensions a library about drawing. Therefore, a CPN about traffic light, for example, could be visualized via CPN tool. 2- Developing the simulator extensions by adding a button allows a new extension to be installed and added to the simulator extensions. Afterward, a new section about the extensions could be introduced on this website. 1) The extension server contains a graphics library (see https://westergaard.eu/2013/03/advanced-visualization-in-cpn-tools-4/ from around 5:35 and https://westergaard.eu/2013/10/cpn-tools-4-extensions-part-3-graphics-and-callbacks/ under Visualization callbacks). The library is written in Java because I feel more people are familiar with Java than SML and also because that kind of visualization is easier made using Java than SML. The old primitives (from the BRITNeY Suite and Mimic/CPN) were very cumbersome and rarely used outside of the Aarhus group where they were developed. 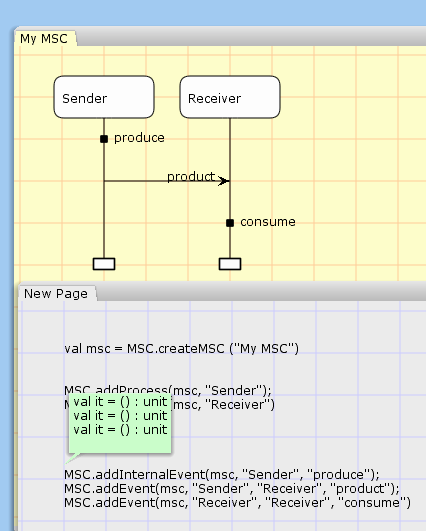 The new primitives use paradigms (scenegraphs/composite design-pattern) that are very familiar to Java programmers. 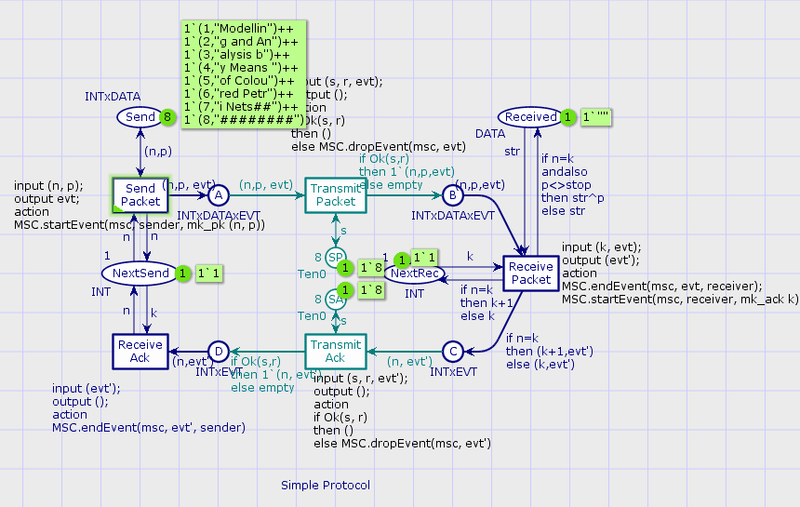 It is fairly easy to make a thin library on top of the Java library to allow simple visualizations (actually the MSC library contains such a wrapper for the higher level primitives provided by the MSC package). 2) Adding a new extension is even simpler – just pack it in a JAR file and dump it in the <Install Dir>/extensions/plugins directory; any class implementing the Extension interface will be automatically loaded as an extension. If you’re doing active development, make sure that the extension server and your plugin is on the class path in your IDE, and launch the extension server (the one with auto-discovery). It will automatically recognize the extension and load it. For rapid development, you can even just close all nets, restart the extension server, and create a new model in CPN Tools without restarting the GUI or simulator. This also allows you to single-step thru your code and use break-points. Early plans included explicit tools for debugging extensions similar to what you described, but it would require tricky and error-prone messing with the class-path in Java, and have risks of leaving resources like TCP sockets or open files confusing things. Also, such tols would never be as powerful as what would be available in a real debugging IDE. 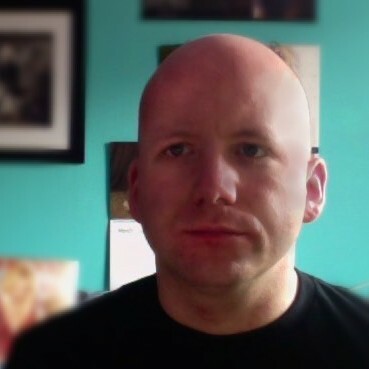 Extensions are supposed to be de-centralized, so anybody creating an extension puts up their own documentation. Of course, at the request of authors, they are listed on the CPN Tools web-page, and particularly useful and well-tested extensions may move into the CPN Tools distribution.